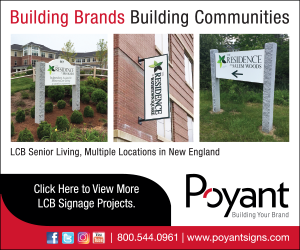 Leominster, MA – Cutler Associates is partnering with long-time client Reliant Medical Group as construction manager, teaming with Lavallee Brensinger Architects, to build a new three-story medical office building on New Lancaster Road. Reliant sees the new 68,800sf facility as a means to bring important state-of-the-art medical services to Central Massachusetts. Plans are to relocate staff and resources from the existing Leominster and Fitchburg locations to the new much larger facility where it will have the capacity to serve greater numbers of patients from Leominster and surrounding communities. The new facility is designed to deliver the optimum patient experience. Services to be offered include family practice, eye care, occupational and physical therapy, primary-care, as well as specialty-care services such as internal medicine, pediatrics, cardiology, dermatology, obstetrics, and gynecology. A ground breaking for the steel-framed structure was held early in November 2017, followed by a topping-off ceremony in January of this year. Construction is on schedule for a fall 2018 opening. Over a decades-long relationship, Cutler has completed approximately 25 projects for Reliant Medical Group, including its ReadyMED PLUS urgent care clinic that opened in Worcester in 2016. Besides the new Leominster medical building, Cutler is close to completing a renovation and fit-up at Reliant’s Holden Family Practice and has recently begun site preparation work to build a new 31,000sf Reliant facility in Shrewsbury. Two additional projects are in the preconstruction stage.